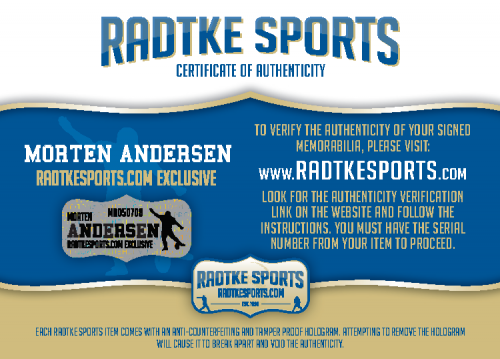 We have partnered with Radtke Sports to handle my store for Authentic Hand Signed Memorabilia and Merchandise. The autographed items will come with a Radtke Sports Certificate of Authenticity, Radtke Sports Databased Hologram, and a picture from the signing. That way you know your items are real. 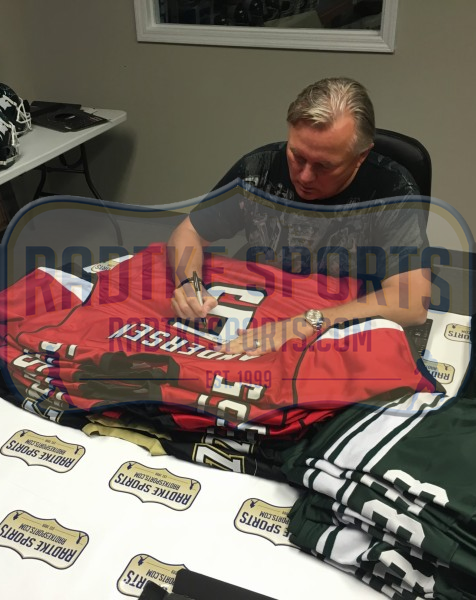 Just click the button below to get your authentic Morten Andersen items! 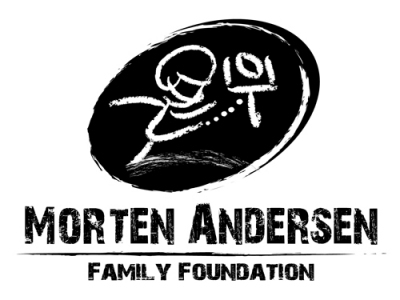 All sales benefit the Morten Andersen Family Foundation.